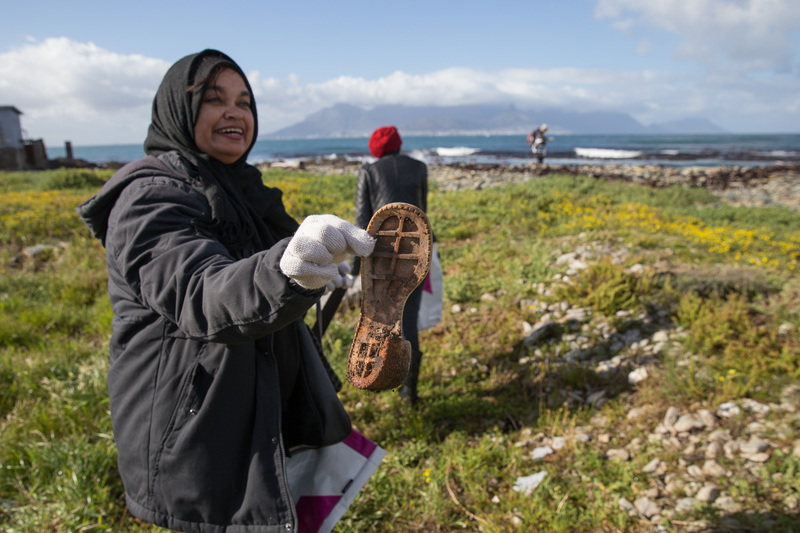 CAPE TOWN – ONE of South Africa’s most famous landmarks, Robben Island, was freed from some of its waste burden as more than 100 volunteers, guided by the national PET Recycling Company (PETCO) and Plastics SA, embarked on the island’s biggest ever waste collection drive. “We don’t have much evidence of direct impacts [of litter] on the island’s wildlife. There are records of birds being entangled in litter [on Robben Island], including an endangered Bank Cormorant chick,” said Ryan. Since PETCO’s inception in 2004, Basson said PET producers had contributed voluntary recycling fees in excess of R371-million which had enabled the collection of 14 billion discarded PET plastic bottles for recycling, thereby reducing landfills by 3 777 639m3 and carbon emissions by 913 107 tonnes. The clean-up was organised by PETCO and Plastics SA. The Beach Co-Op’s, “Dirty Dozen” methodology which was developed by Prof Ryan was used to record and track the sources of marine waste collected. Co-op director Aaniyah Omardien said employing this methodology at all clean-ups helped to better understand Cape Town’s waste streams and improve the city’s waste management strategy.